How Common Are Secondary Cancers With Hodgkin Disease? If you’re just starting or are in the midst of treatment for Hodgkin lymphoma, talking about another cancer may be the last thing you wish to hear. Before discussing the risk and rates of secondary cancers it's important to note that the risk of late effects such as secondary cancers is usually greatly outweighed by the benefits of treatment. 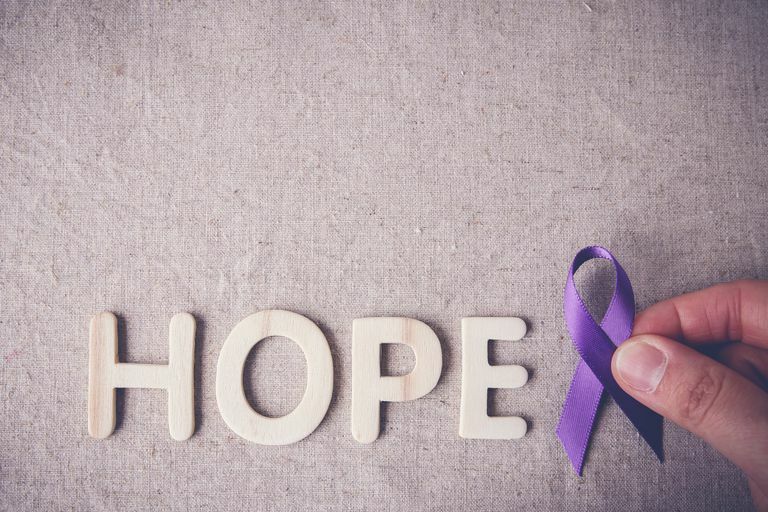 Over the last half century, the overall 5-year survival rate for Hodgkin lymphoma has gone from 10 percent to almost 90 percent, and the average person with the disease can now expect to be cured. Having an awareness of the possibility of secondary cancers becomes even more important for those who have entered what has been coined the "survivorship" phase of cancer. While an essential part of survivorship is learning to step away from your role as "cancer patient" and to stop being defined by your cancer, you will need to understand this possible and substantial long-term risk. Let's talk about how significant this risk may be, the rates of certain cancers related to the treatments used for Hodgkin disease, and most importantly, look at how you can improve your long-term health after treatment through early detection and risk reduction. What Is Considered a Secondary Cancer? Secondary cancer after Hodgkin disease is defined as the development of a second cancer unrelated to your original cancer. Hodgkin disease which comes back—relapses—is not considered a secondary cancer but rather a recurrence of the disease. A secondary cancer may sometimes be referred to as a second primary cancer, emphasizing that the second cancer is unrelated to the first. Cancer treatments such as chemotherapy and radiation therapy can often cure Hodgkin lymphoma, but at the same time, are carcinogens (cancer-causing) themselves. The damage these treatments cause to DNA in cells may work wonderfully to rid your body of cancer cells, but can also damage the genetic material in normal, healthy cells, sometimes initiating the changes which can lead to the development of a cancer cell. Secondary cancers may occur months to decades following your original cancer. How Common Are Secondary Cancers After Hodgkin Lymphoma? What is the risk of developing a secondary cancer if you've had Hodgkin disease? The answer will vary based on the particular treatment you had, your age at diagnosis, and a host of other factors. Though we have some ideas which cancers are most likely to occur and why it is difficult to evaluate the exact risk for any one person. Studies have looked at groups of people with Hodgkin lymphoma over time, but these people have received a wide variety of different treatments. Since one in two men and one in three women are expected to develop cancer in their lifetime even without having had Hodgkin disease, it is even more difficult to determine exact risks. As we talk about risk and rates, keep in mind that these are averages based on the average person with Hodgkin disease. Yet real people are rarely average. Overall, it's thought that 20 to 30 percent of people who survive Hodgkin lymphoma will develop a secondary cancer. The risk of one of these cancers (not all cancers are increased) is roughly 4.6 times the risk of the general population. A 2015 study in The New England Journal of Medicine looked at over 3900 Hodgkin disease survivors over an average of almost 20 years. The average age at the time of diagnosis for these people was 28. Some of these survivors had chemotherapy, some had radiation, and around 60 percent received both of these treatments. Of these people, 908 people developed a second cancer. Another study looked at people with Hodgkin lymphoma who were 35 or more years out from treatment. The risk of a second cancer 30 years out was 33.2 percent (compared to 9.6 percent in the general population) and 48.5 percent at 40 years (compared to 19 percent in the general population). What Treatments Raise the Risk of Secondary Cancers? As noted above, we know that both chemotherapy and radiation therapy can damage healthy cells, but some treatments are more likely than others to raise the risk of cancer. Radiation therapy to the chest for Hodgkin lymphoma has long been linked to an increased risk of breast cancer, lung cancer, and thyroid cancer. In the past, however, the doses of radiation and the extent of normal tissue exposed was much greater. At the current time, radiation therapy is used less often to treat Hodgkin lymphoma, though it is still used frequently for early stage disease. Radiation that is currently used is also delivered to a much more precise area, limited to tissues affected by Hodgkin lymphoma (mantle field radiation). Radiation delivered below the diaphragm, in contrast to chest radiation, increases the risk of stomach, pancreatic, and colon cancer. Chemotherapy also causes cell damage, but some classes of chemotherapy drugs are much more likely to cause the damage which can lead to secondary cancers. The category of drugs known as alkylating agents carries the highest risk (especially procarbazine). Alkylating agents are associated most strongly with an increased risk of non-Hodgkin lymphoma. Procarbazine is present in the BEACOPP chemotherapy regimen and dacarbazine, another alkylating agent is one of the components of ABVD chemotherapy. Is the Risk of Secondary Cancers Increasing or Decreasing? Many advancements have occurred in the treatment of Hodgkin lymphoma over time. As just noted, some of the most significant risk factors for secondary cancers come from radiation therapy and chemotherapy with alkylating agents. While it would make sense that the risk of secondary cancers would be decreasing, since the use of treatments most strongly associated with secondary cancers is decreasing, there is no evidence that this is happening, and some studies suggest even a small increase in the risk. Breast cancer - Breast cancer is the most common secondary cancer found in people who have been treated for Hodgkin lymphoma. There are recommended guidelines (see below) for early screening for breast cancer which depends on the age at which you were diagnosed with Hodgkin disease and the types of therapies you received. For example, women who receive radiation for Hodgkin lymphoma (mantle field radiation) to the chest before the age of 30 should have yearly MRI’s and clinical breast exams beginning at age 30. In general, women who have been treated for Hodgkin lymphoma should begin regular breast cancer screening at age 40 at the latest. Keep in mind that men can get breast cancer too. Non-Hodgkin lymphoma - As noted above, non-Hodgkin lymphoma is linked most closely to chemotherapy regimens which include alkylating agents such as procarbazine. Lung cancer - Radiation therapy to the chest for Hodgkin disease above the abdomen is a fairly common secondary cancer. Many researchers believe that newer radiation techniques will result in fewer secondary cancers. Colon cancer - There is an increased risk of colorectal cancer, especially for those who have had radiation below the diaphragm along with chemotherapy which includes procarbazine. Research is in progress trying to determine the best way to screen people who have had Hodgkin lymphoma who have had both of these treatments. Pancreatic cancer - Pancreatic cancer is linked most closely with radiation below the diaphragm. Stomach cancer - As with pancreatic cancer, stomach cancer is usually associated with a history of receiving radiation therapy below the diaphragm. Acute myeloid leukemia - Leukemia as a secondary cancer is not as common as once thought, but the risk is still elevated in survivors of Hodgkin disease. as thought in the past. Drugs such as Cytoxan (cyclophosphamide) carry the strongest risk. Cytoxan is one of the drugs in BEACOPP chemotherapy. How Long Does the Risk of Secondary Cancers Last? It's not certain how long the risk of secondary cancers persists, though it's likely that the risk remains elevated for the remainder of life. In general, it appears that the highest risk of secondary cancers occurs in the third decade following treatment. There are currently guidelines in place for screening for some secondary cancers. These survivor guidelines cover specific recommendations based on your age at diagnosis, the particular types of treatment you received, and the length of time since you completed treatment. It's important for everyone who has had Hodgkin disease to review these guidelines and discuss them with their oncologist. Added to these guidelines should be any other risk factors or family history of cancer which you have. While there are some guidelines in place for early detection of secondary cancers, it's critical to point out that there are not currently screening tests available for many of the cancers which are increased in those who have Hodgkin lymphoma. For example, we do not have any way to screen people regularly for non-Hodgkin lymphoma, a common cancer after treatment. For now, it would seem prudent that those who are Hodgkin lymphoma should be aware of the symptoms of non-Hodgkin lymphoma and seek medical attention if any of these symptoms should arise. For those cancers in which guidelines are in place, you can expect change. We are just beginning to understand the risks of secondary cancers, and much research is left to be done. In addition to any follow-up recommended by your oncologist for early detection of secondary cancers, it's important to make sure you are up to date on "normal" screening tests. Often times when dealing with cancer, other medical issues get pushed to the back burner (or off the stove altogether). Screening tests such as colonoscopy may be skipped. For many people, the last thing they wish to do after completing treatment is to have a screening test which may detect another cancer! On another note, you may have what could be an early symptom of cancer, but relative to what you have been through, your symptom may not seem all that significant. People with cancer often learn to live with some degree of pain or discomfort, and almost everyone learns to live with fatigue. It can be very hard to distinguish fatigue due to a new problem from the fatigue which lasts seemingly forever after cancer treatment. Listen to your body and trust your gut. If something seems different, talk to your doctor. How Can You Lower Your Risk of a Second Cancer? In addition, you may wish to check out these tips on lowering your risk of colon cancer, these tips on reducing your risk of lung cancer, and these ideas on lowering your risk of breast cancer. It can be frightening to learn there is a risk of secondary cancers after treatment for Hodgkin lymphoma, but there are also many things you can do to lower your risk. A healthy lifestyle may help lower the risk of these cancers as well as medical conditions common among the general public. It's important to talk with your oncologist about recommended screening based on the treatments you have had. It's also a good idea to have any new symptoms checked out right away. This combination of reducing your risk and increasing the chance that you will find a cancer in the earlier more treatable stages can go a long way towards making your survivorship with Hodgkin lymphoma a good "new normal." Keegan, T., Bleyer, A., Rosenerg, A., Li, Q., and M. Goldfarb. Second Primary Malignant Neoplasms and Survival in Adolescent and Young Adult Cancer Survivors. JAMA Oncology. 2017 Apr 20. (Epub ahead of print). Norval, E., and E. Raubenheimer. Second Malignancies in Hodgkin Disease: A Review of the Literature and Report of a Case with a Secondary Lennert’s Lymphoma. Journal of Oral and Maxillofacial Pathology. 2014. 18(Suppl 1):S90-5. Radford, J., and D. Longo. Second Cancers after Treatment for Hodgkin Lymphoma – Continuing Cause for Concern. The New England Journal of Medicine. 2015. 373:2572-2573. Rigter, L., Spaander, M., Moons, L. et al. Colorectal Cancer Surveillance in Hodgkin Lymphoma Survivors at Increased Risk of Therapy-Related Colorectal Cancer: Study Design. BMC Cancer. 2017. 17(1):112. Schaapveld, M., Aleman, B., van Eggermond, A. et al. Second Cancer Risk for Up to 40 Years after Treatment for Hogkin’s Lymphoma. The New England Journal of Medicine. 2015. 373:2499-2511.